Draperies for a little girl’s Bedroom in Chicago! 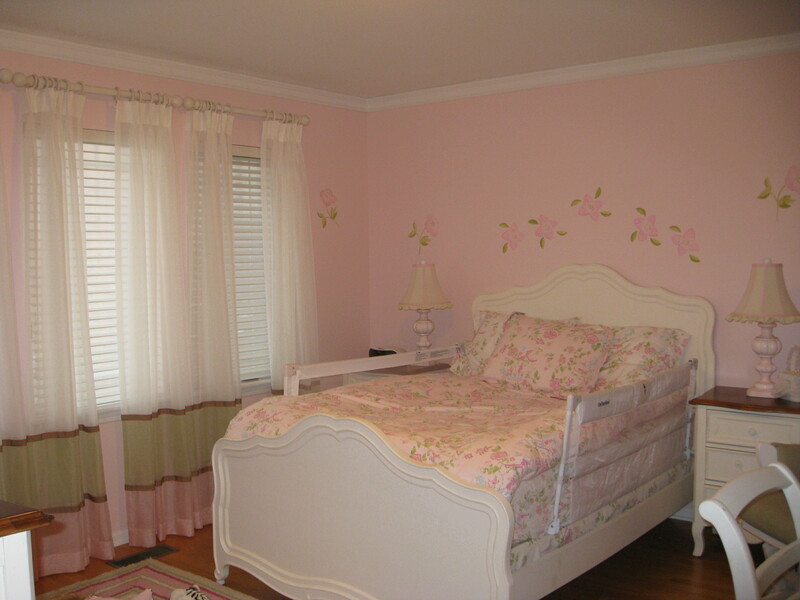 Soft Sheer draperies were selected as the window treatment for this sweet little girl’s bedroom in Chicago Illinois. The goal was to use colors that worked well with her bedding. Three colors of sheers were selected, the white, then the yellow green and the pink at the bottom. The three sections of sheers were separated by a trim braid in matching colors. White pole and rings worked well with the white wood blinds. The walls were stenciled with flowers motif found in the bed cover, the stencils have added that one of a kind custom look. The stencil work was done by Jo Ann Ketcik of Decorative Effects, Minooka, Illinois. For unique ideas and free estimate call (630)420-0800.